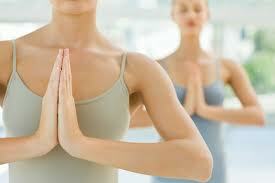 For thousands of years yoga has traditionally been passed down from individual teacher to individual student. A private one-on-one session is a wonderful way to address your own goals and needs, and establish a home practice. If you are new to the practice, it’s a great opportunity to learn about yoga without the distractions of a large group setting. For the experienced yogi, it is similiar to a personal workshop focusing on alignment and attempting difficult poses with an adjuster.If you have special needs or injuries, a one-on-one session is the perfect way to receive individual modifications. Or if you are self-conscious about yoga, a private session or small group class in the privacy of your home can help you gain confidence and experience. In this individualized setting, we will develop a practice tailored to your needs. If you choose to have the one-on-one session in the comfort of your home, prepare an area where we can place two mats. It is best if we practice in a clutter free environment where there are no distractions such as televisions, loud music, or pets. Please wear loose clothing which will allow you to move freely. If you have a block and a large blanket, those are wonderful props which will allow us to modify poses in unique ways. Consider a custom yoga class for small groups, such as neighborhood groups, bookclubs, women’s circles, playgroups or any small group of friends that wants to try yoga for the first time or continue with their practice. All levels of experience are just fine. Contact us, and let us help your next meeting bring bliss to your group! Private and couples’ yoga sessions are scheduled individually. If you need to cancel, please give at least 24-hour notice. To schedule a session, please contact Shanell at 469-952-YOGA (9642), or submit the contact form below.